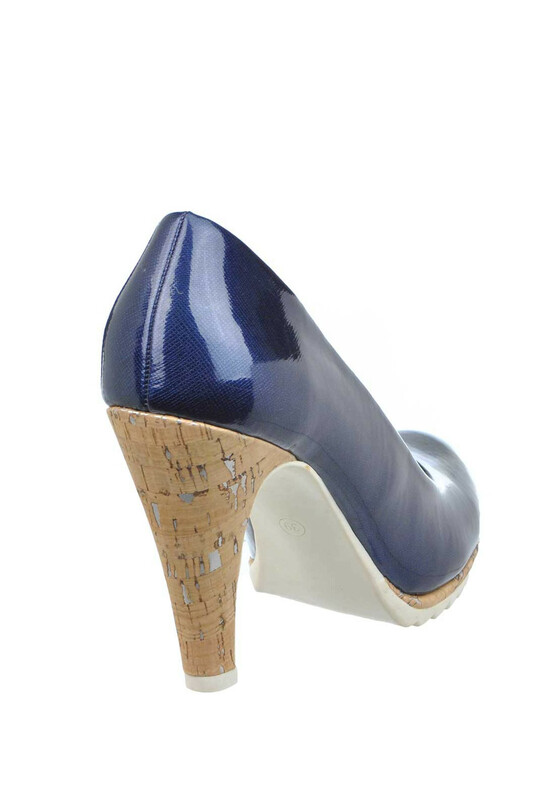 A contemporary twist on a timeless classic, Marco Tozzi presents these stunning navy patent court shoes with super chic cork detailing on the stiletto heel and ridged platform. With a cushioned insole, this high fashion pair are a must have for the seasons ahead and will have you looking and feeling fashionista ready. Material: Upper- Other Materials. Lining and Sock- Textile and Other Materials. Sole- Other Materials.